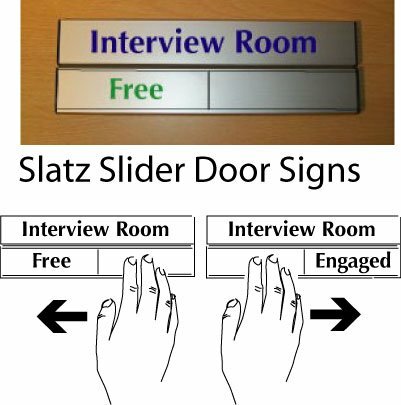 Our comprehensive range of slider signs inform people of room occupancy and helps prevent unwanted interruptions. Sign comes complete with black ends caps. Signs can be supplied 41mm in height and 2 lengths 150 or 200mm. Little slatz with 50% insert. Please note artwork proof will be sent via email for customer approval prior to any production.